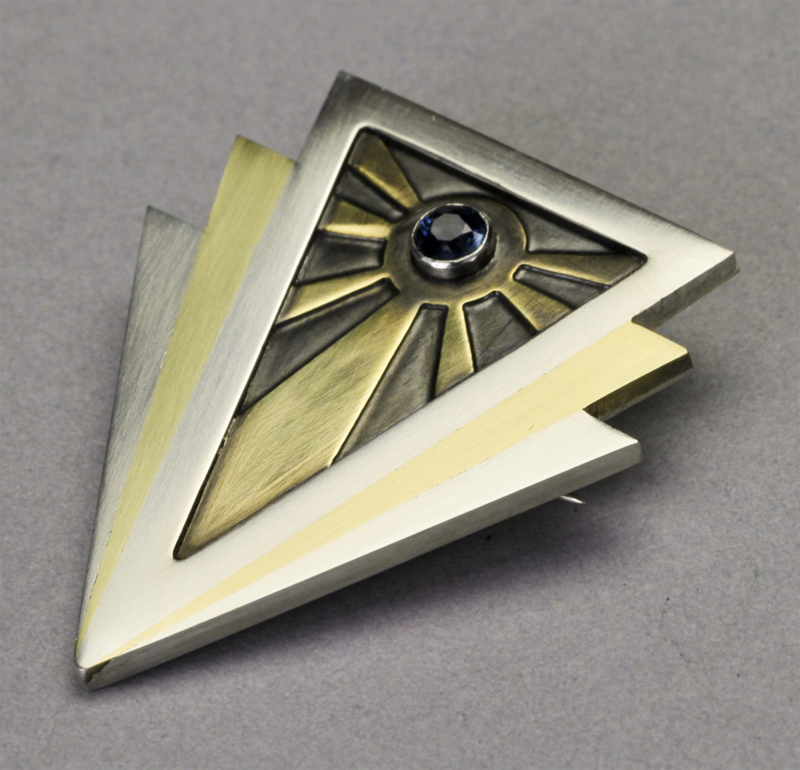 I made a lot of brooches in grad school, but I did not have any that I could actually wear. I made this brooch to solve that problem and give myself some more practice fabricating & fitting parts with tight tolerances. Around this time, I was really into the art deco movement of the 1920s and 30s, and a lot of my work drew direct inspiration from it. This was no exception. The design is based off of a re-occurring motif within the art deco style: the elongated triangle which is repeated and stacked upon itself. From there, I decided that a pattern which radiated from the center was necessary, and that a stone was the perfect focal point for this radiating pattern.